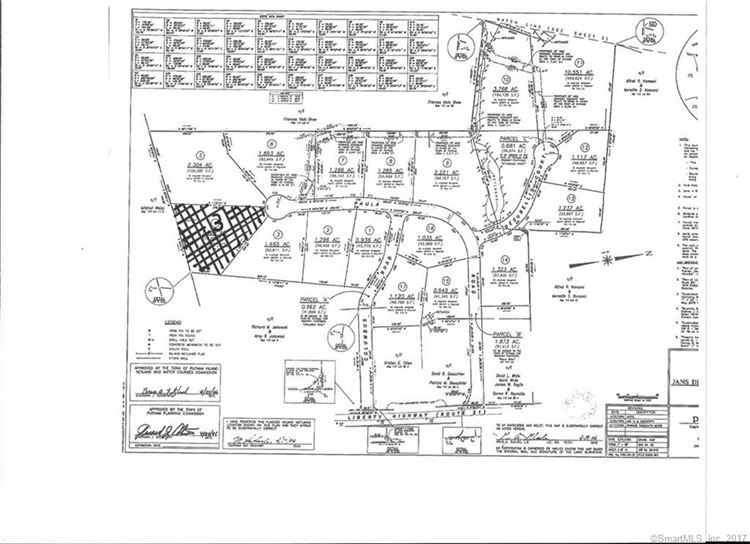 3 Paula Road, Putnam, CT Residential Lots Property Listing | Realty Seven, Inc. Build your dream home amidst other upscale, luxury homes in Putnam Estates. Enjoy the peaceful sounds of nature, but know you're not that far from Putnam's shops and nightlife! Just a short drive away are two state parks for swimming, hiking, fishing, or ice skating in winter! Easy commute to Worcester and Providence! Just a little further will bring you to Boston or Hartford! Don't miss out on becoming part of this lovely, quiet rural community! Call today without delay! $446 would be your approximate monthly principal and interest payment.